– Nikon Keymission 360 (available here). Which camera came out on top? See the videos for yourself! – 2017 Samsung Gear 360 (available here). Currently one of the hottest new 360 cameras. Ben Claremont found that it beat last year’s Gear 360 in low light performance. How would it fare against other competitors? – Nikon Keymission 360 (available here). In my experience, the Nikon Keymission has pretty good low light quality and that’s why I included it here. – Xiaomi Mijia Mi Sphere 360 camera (available here). It’s a 360 camera from Xiaomi, co-creators of the Xiaomi Yi action camera. Not a lot of people know about this new camera yet but it has surprised me with its image quality. In daylight tests, it beat the 2017 Samsung Gear 360 (in my opinion). But how will it fare in lower light? – Kodak SP360 4K Dual Pro (available here). 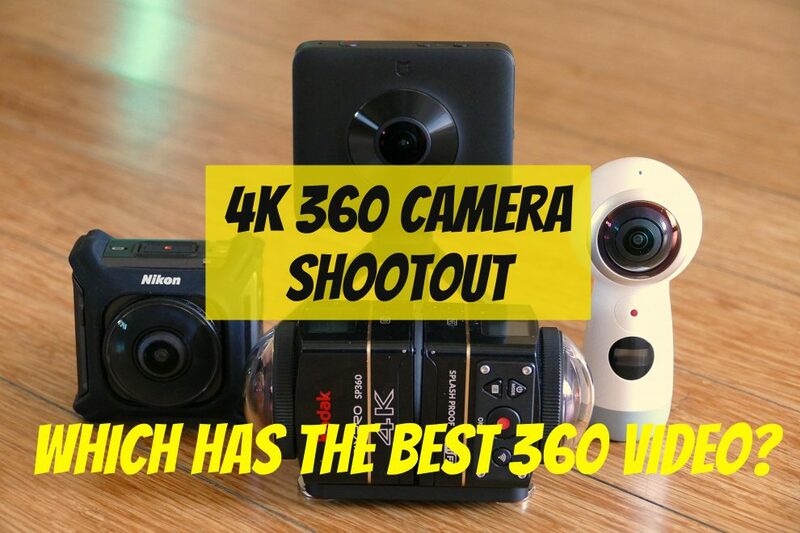 The SP360 4K Dual Pro had the best overall video quality among last year’s cameras. How does it compare to this year’s competitors? How about you? Let me know what you think in the comments! Could you add the 2016 Gear 360 to that comparison? They are very cheap now. Hi Sven. The reason I didn’t include it is because Ben Claremont already showed that the 2017 Gear 360 is much better in low light than the old Gear 360. But don’t worry, I will include it in my ultimate 12-camera comparison. Coming soon!